Experience the romance and adventure of living on the vineyard of a boutique winery. 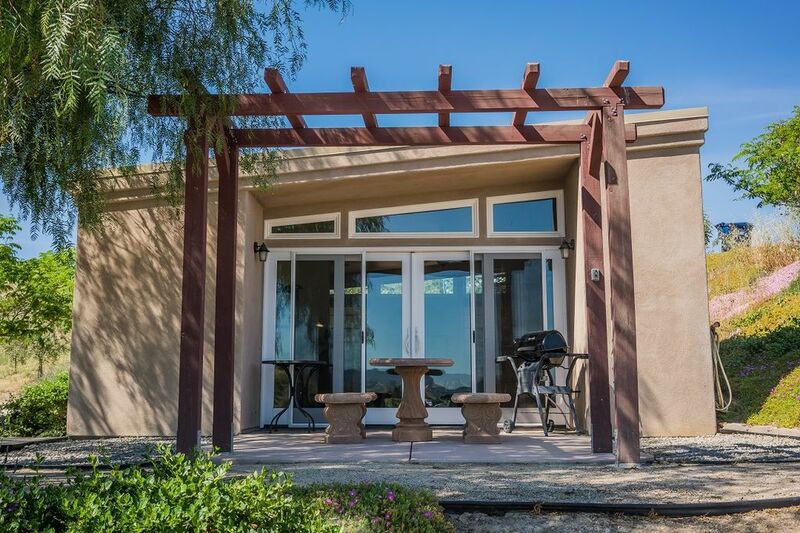 Situated on Paso's West Side on a gated estate, the suite overlooks the organic Old School Vineyard and is a mere 10 minutes from downtown Paso Robles, where you can enjoy the wines of the boutique winery, Domaine Degher. The spacious guest house features: full kitchen, private overlook patio, Queen sized bed, large step-down Baja shower, bar area, great cell reception, DISH TV, WiFi, and views for miles.